Wheaton Eye Care (Wheaton) - Book Appointment Online! Quality eyecare and personal attention are our focus at Wheaton Eye Care. We are a family optometry practice that prides itself on the individual care and attention we provide all of our patients. Your entire family is welcome at our office. We also provide specialty care on pediatric vision, sports vision and specialty contact lenses. Our goal is to serve our patients by helping them with their personal eye health and providing them with professional and state-of-the-art eyecare. We believe that healthy eyesight is vital to a high quality of life - both of which we are committed to! We invite you to visit our beautiful frame dispensary and choose from the latest in fashionable eyewear. 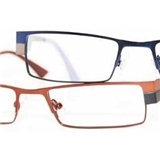 We carry both affordable and high-end frames such as Cazal, Gucci, Marc Jacobs, Banana Republic, Ray-Ban, and many more! Dr. Zhang was informative and friendly. Also efficient. Her staff was polite and friendly; explained charges thoroughly.